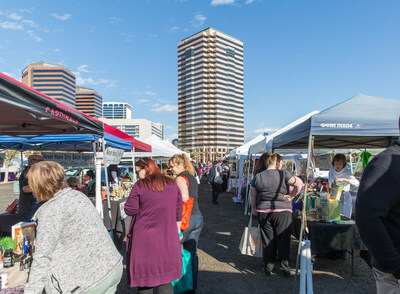 PHOENIX, Feb. 7, 2019 /PRNewswire/ — U-Haul International invites the public and neighboring Phoenix businesses to the monthly Midtown Farmers Market, now in its second year of offering a vibrant shopping setting while supporting Arizona’s farmers and entrepreneurs. The next event is scheduled for 10 a.m. to 1 p.m. on Tuesday, Feb. 12. Dates are posted for the March and April events as well.